PRICED TO SELL! PRICED UNDER CITY ASSESSMENT! LOTS OF WORK DONE! A LITTLE CLEAN UP AND THIS IS A GREAT SINGLE FAMILY HOME WITH A DETACHED GARAGE ON A GOOD SIZED LOT. CLOSE TO SCHOOLS, SHIPYARD, MILITARY BASES, I64, BEACHES AND PARKS! HOME OWNERS HAVE MADE SEVERAL IMPROVEMENTS TO HOME. JUST NEEDS A LITTLE WORK! Ready to visit 331 Algonquin? Request a free property tour! Send me more information about the listing at 331 Algonquin, Hampton, VA 23661, MLS# 10240100. 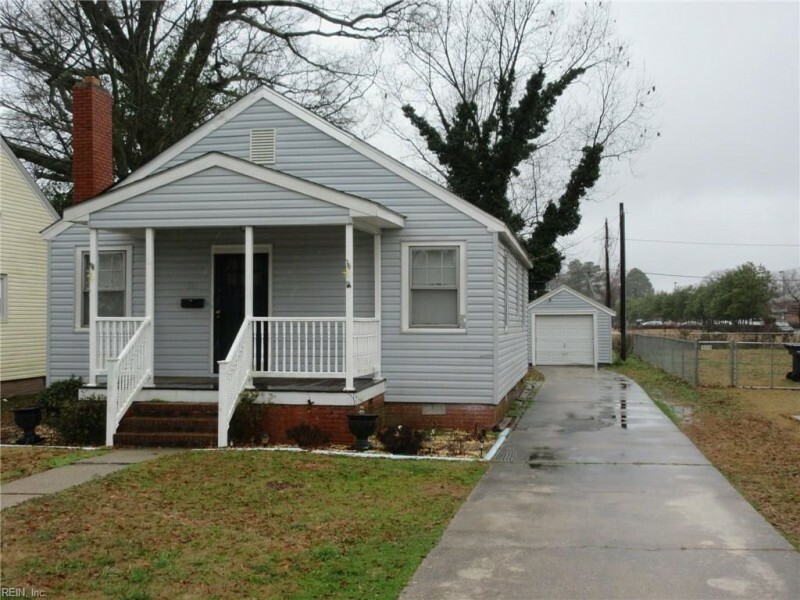 This 2 bedroom, 1 bathroom home located at 331 Algonquin, Hampton, VA 23661 has approximately 915 square feet. It is currently listed for $109,900 and has a price per sqft of $12,011. This home is currently Active under the MLS#: 10240100. This listing is provided by Long & Foster Real Estate Inc..
331 Algonquin Road, Hampton was built in 1941. It has Garage Det 1 Car, Driveway Spc, Street parking.The kitchen includes None. 331 Algonquin is part of the Hampton Roads neighborhood located in 23661.